What’s the cost of being labeled a systemically important financial institution? In the case of General Electric, the magic number looks to be about $50 billion. The U.S. industrial conglomerate led by Jeff Immelt on Wednesday officially shook off the SIFI designation applied by the Financial Stability Oversight Council to its GE Capital finance unit. The market capitalization benefits of reduced financial significance have been accruing for some time. America’s top financial watchdog made the designation three years ago, and the company decided to break the shackles in April last year. In what will go down as a very swift exercise in dismantling a lending business, GE has jettisoned some $200 billion of assets. It seems to have achieved the fire-sale pace while avoiding singeing shareholders with low prices. Since GE announced its plans to offload almost all GE Capital’s assets – it’s keeping a few operations involved in financing big-ticket items like energy turbines – the company’s stock has added about $5.25 a share, or roughly $50 billion in overall market capitalization. While GE’s stock is up more than 20 percent, the S&P 500 Index has gone nowhere. Shares of United Technologies, with which GE competes in aerospace, are around 15 percent less valuable. There are other factors involved in GE’s performance, but escaping SIFI-dom is the biggest. 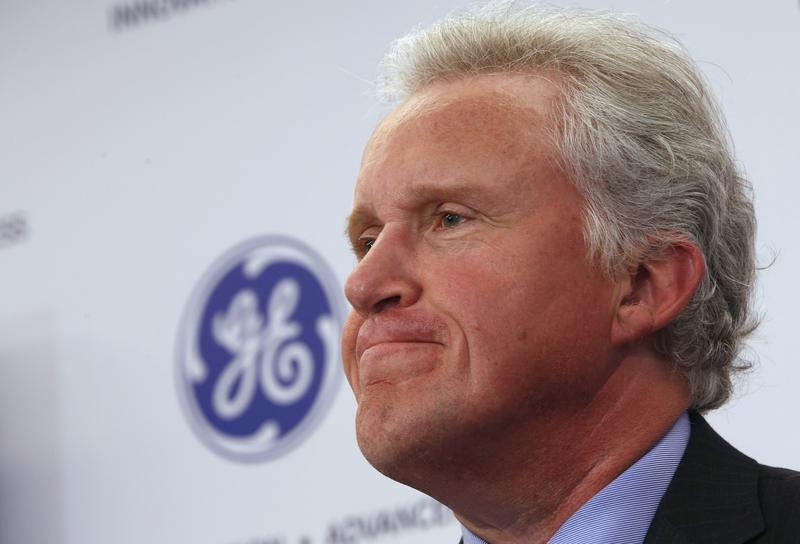 As GE has rebounded, Morgan Stanley, Citigroup and Goldman Sachs have all lost more than a fifth of their former value. Tossing the SIFI label would be harder for these institutions without breaking themselves up. But GE’s example offers 50 billion reasons why their shareholders should do the arithmetic. General Electric's finance arm on June 29 became the first big U.S. lender to lose its designation as a systemically important financial institution, or SIFI. The label, born of the financial crisis, is applied by the U.S. government to institutions seen as having the potential to wreck the economy in the event of distress. The Financial Stability Oversight Council, made up of the heads of the major U.S. regulatory agencies, voted unanimously to remove the designation it gave GE Capital in 2013. A SIFI can be required to accept stricter oversight and to hold higher levels of capital.